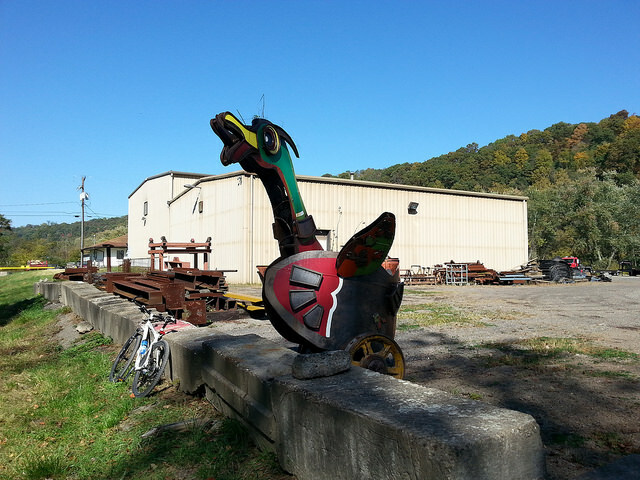 On October, 12, I ride 62 miles from Connesville, PA to Pittsburgh, PA on the Great Allegheny Passage (GAP). The reason? 321ride, a bike-friendly event made to support the Woiner Foundation which mission is to fight melanoma and pancreatic cancer by increasing awareness, supporting patients, survivors, families and fundraising for research. I completed the event in a team with three friends and my partner in crime. The team’s name “In Memory of Beth” was chosen by one of my friend that lost her cousin last year because of cancer. I was very glad and proud to be part of this journey and I know that this adventure really matters to them. 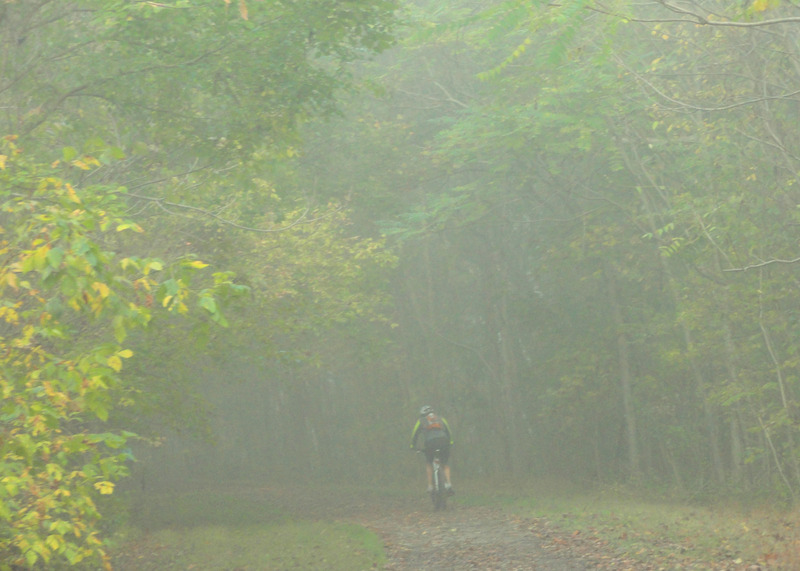 Riding early in the Morning: embrace the fog! You do not have to ride that long to support the Woiner foundation and when joining the event, you can choose between a 7, 25 or 62 miles ride. I choose the latter (metric century ride) because it goes on a beautiful trail and this was a good reason to cross train. You start in downtown Pittsburgh at 600am, where breakfast is provided by Panera Bread. Then, buses bring you (and your bike) to Connelsville. Once you get there, you just follow the trail all the way to Pittsburgh. The buses arrive in Connelsville around 7:45am and you are ready to go around 0800am (time to get the bike stocked in the buses). Depending on the weather, it can be really cold so it is highly recommended to have many layers with appropriate gear (gloves, socks, etc.). This can be a real safety issue, several people had issues. If you have difficulties to stay warm, consider taking hand warmers. After one or two hours, the temperature increases significantly and you can then remove one or two layers. The trail go through different cities: West Newton, Mckeesport or even Boston. Most of the trail is in the nature, without any other traffic. The organizers set up aid station every 20 miles where you can put air in your tires and refuel the machine (usual race food is available: bagels, bananas, orange slices, etc.). During your journey to Pittsburgh, you will cross many beautiful areas (the waterfalls around Boston are wonderful!). Considering that the race takes place during the fall, seeing the leaves falling makes this ride colorful! Finally, once you get in Pittsburgh, you enter the post-race party. Food is provided (full lunch!) and there is an expo where you can hang out. Should you do the next edition? Definitively! 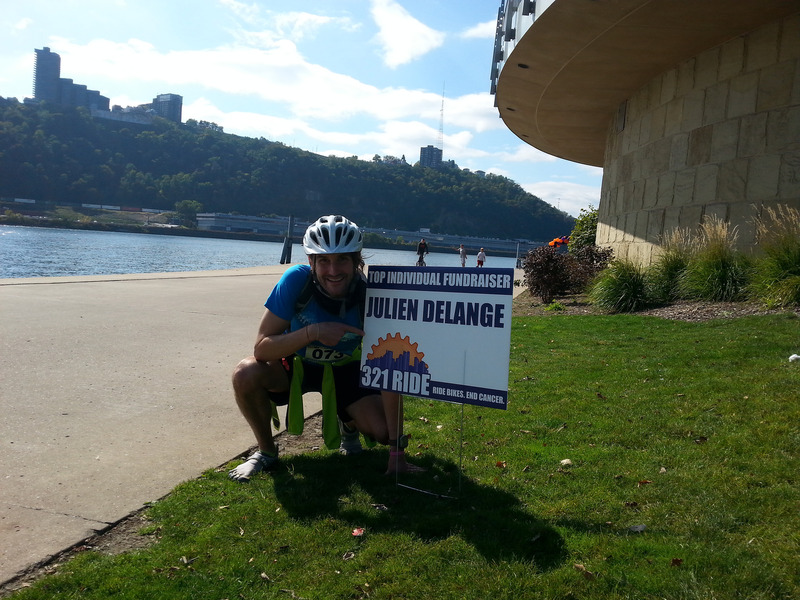 This is a great opportunity to do a long ride with support so that if you have any mechanical issue on the way, you will get help and will probably able to continue your ride to Pittsburgh (Trek of Pittsburgh, a sponsor of the event, provides support along the route)! Also, having aid station stocked with food avoid to carry too much stuff in your bagpack. Finally, when signing up for the race, you can make your own fundraising campaign for the Woiner foundation. In case you do not want to do it, you will have to donate $50 to the organization to be able to ride! Being a runner and participating regularly to road races, I was interested to start a fundraising campaign since a long time. So, I set a goal of $500. This goal has been reached within a couple of weeks and, the total of the donations summed to an amount of $1025, which makes me the top individual fundraiser! This was a real challenge to do it but also a real pleasure. I will probably consider to do it again, for the same organization or another. Thanks again to the Woiner foundation!